It’s always a parents dream that their children will do better in life than they did, but that dream is slipping away as more Americans struggle to maintain the middle class lifestyle they grew up with. Nearly three out of 10 Americans–28 percent– born in the middle class drop out of it as adults. That sobering statistic comes from a recent study on economic mobility from The Pew Charitable Trusts. 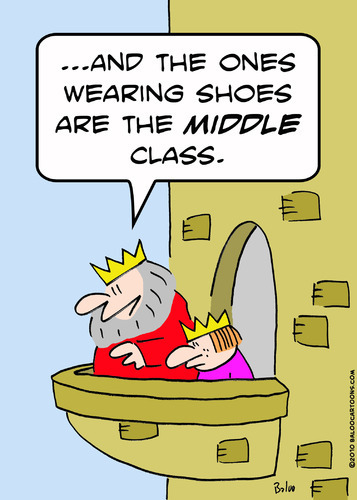 The study defines middle class as those families making between $32,900 and $64,000 in 2010 dollars, which ranks between the 30th and 70th percentiles of income. The study looked at what participants earned in the years before the recession started versus what their parents made at a similar age in 1979. Nearly one in five people, 19 percent, made less than their parents did at the same age in inflation-adjusted dollars. Click here to read more about the study in the Denver Post. The Sallie Mae Fund – Serving Charity or Promoting Business? Why Are Your Bank Fees Going Up?